“I want people to be comfortable and to be able to use every square inch of their house,” designer Libby Langdon says. She created a warm, comfortable and inviting setting with a more efficient layout using most of the homeowners’ existing upholstered furniture along with some new cleaned-lined pieces, casegoods and accessories. BEFORE: Precious space went unused in Betsy and Eric Flaim’s long, narrow living room. “When we tried to cozy up the room by floating the couch closer to the fireplace with chairs flanking, we had huge empty spaces to the left and right of the room,” Betsy Flaim says. A new generously sized area rug visually expands the room and unites the multiple conversation areas. 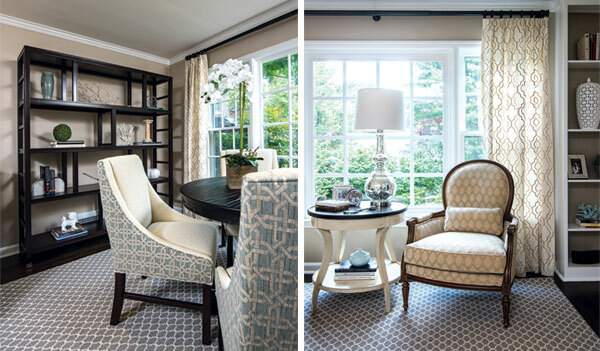 “It makes a huge difference” and makes the room look and live larger, the homeowner says. “Sometimes people worry about putting too much furniture in a room,” Langdon adds, “but a room this size can take it.” BEFORE: An undersized area rug chopped up the room and left large portions of the living area out in the cold. Left: Cube ottomans can be moved easily around the room wherever extra seating is needed. Or they can hold a tray and drinks when entertain­ing, Langdon says. Right: Homeowner Betsy Flaim tries out one of her new chairs. Looking on are designer Libby Langdon (left) and Design NJ Associate Editor Meg Fox. Left: The bookcase/ shelving unit offers attractive display space and helps anchor an area opposite the home­owners’ grandfather clock. Mitchell chairs— which Libby Lang­don designed for Braxton Culler—circle the game table and do double duty as occasional chairs. Right: Langdon carved out a spot for enjoying the backyard view, reading or quiet conversation. The two-tone accent table in a distressed wood finish took the place of a more formal metal and glass-topped piece. French-style chairs (one shown) belonged to the homeowners and were relocated from one area of the room to another. Designer, author and makeover television personality Libby Langdon helps turn homeowners’ decorating dilemma into an easy, elegant, stylish solution. 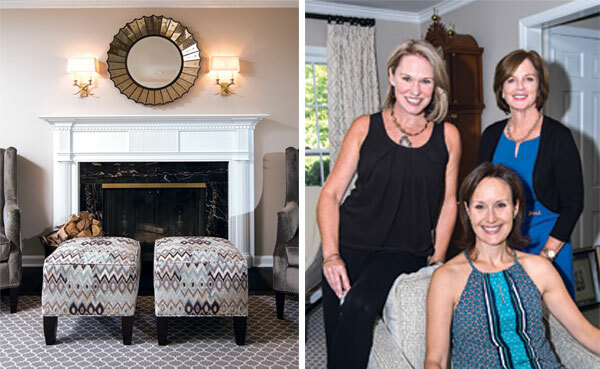 Every home has its challenges, but “sometimes it’s just one room that needs a makeover,” says designer Libby Langdon, who invited Design NJ for a behind-the-scenes look and final reveal of a living room makeover in Summit. The challenge? Turn an underperforming living room with a tricky floor plan into a comfortable, stylish retreat for homeowners Betsy and Eric Flaim, the parents of three school-age children. The homeowners faced another design conundrum: They wanted to incorporate their existing traditional-inspired furniture into the makeover and still get a fresh, updated look. “I was hoping for a more transitional feel” with cleaner lines that could also work with existing pieces, Flaim says. Langdon addressed these concerns and more with a plan to build upon what the owners wished to keep with new furniture and accents that would deliver the style and function they envisioned. Because the layout for any room “is the very first place that you start,” Langdon proposed a variety of floor-plan options that would optimize the room’s potential but still keep traffic patterns open. “For me, it’s all about getting people to use the square footage in their home,” she says. 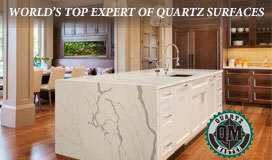 The Flaims chose a layout that uses every square inch with spaces designed for reading, relaxing and entertaining. Uniting the new multiple seating areas is a space-enhancing area rug—cut and bound from broadloom carpet—that spans almost the full length of the room. Together, “It makes a huge difference” and helps the room look and live larger, Flaim says. Chairs and ottomans are designed to be mobile. “If it’s the holidays and you have a huge group and you’re playing charades,” Langdon says, “you can pull the chairs around where needed.” A new game table —in a distressed finish—can also pinch hit as a dining, buffet or homework surface for the kids. Among other additions is a tall bookcase for stylish display of books, decorative objects and family photos. “It’s the rock star piece in the room,” Langdon says, along with a vintage grandfather clock, a prized piece handed down from Betsy Flaim’s parents. Living room layout and design, Libby Langdon of Libby Interiors Inc. in New York City with assistance from Libby Interiors Design Associate Kelsey Pethybridge. New items: Jermain chairs near coffee table, Burke cube ottomans covered with Kravet Modern Contrast Mineral fabric and Mitchell chairs around round table, Libby Langdon for Braxton Culler; Brynmore round table, Uttermost; Addison Bookcase and Ella Lamp Table, Vanguard Furniture Co.; end tables beside sofa, Charleston Regency-Carolina End Table, Stanley Furniture Co.; area rug, Cove Carpet One Floor & Home in Summit. Homeowners’ existing pieces: Antiqued Art Deco Coffee Table, Wisteria; sofa and reupholstered Suzette Chairs, Ethan Allen; Gray wing chairs, J&M Home and Garden in Madison; grandfather clock, family antique.